Content marketing isn't just a good idea. It actually works. I've seen it work for my clients and I've seen it work for my own business. Most folks find me by way of my blog or my newsletter. When it's done well, content marketing can boost visibility, enhance credibility, and generate inbound leads. There's a reason it's sometimes called "inbound marketing." It can be especially effective for software-as-a-service (SaaS) companies, where keeping the cost of customer acquisition is critical. But here's the thing about content marketing: It requires good content. 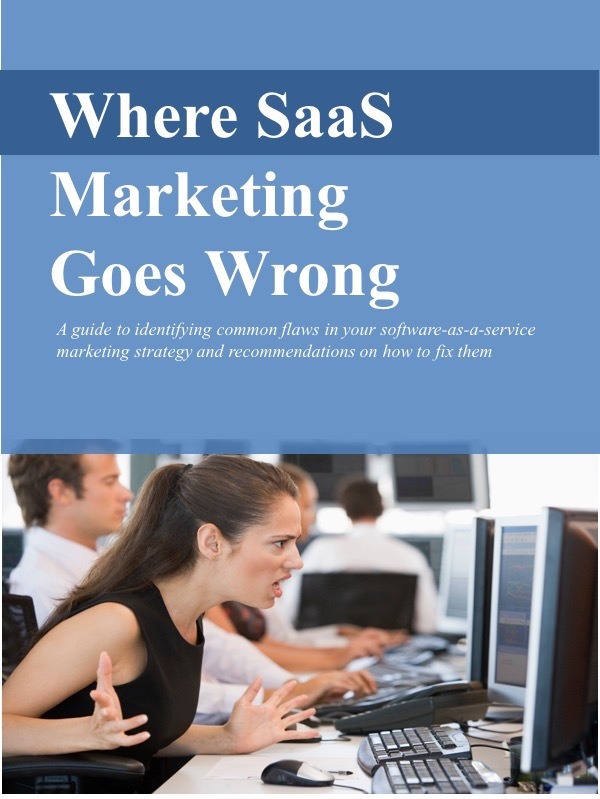 Seems obvious, but lots of SaaS companies have a hard time getting this right. Too often, companies think "content" means a product brochure, a demo, a data sheet, or something else that's all about the solution. But most prospects are not yet ready to hear about the solution. They first need to learn more about the problem. What's wrong with their existing process or product? Until prospective customers acknowledge that they have a costly problem and recognize that there's a better approach, they're not yet ready to pay attention to any vendor's particular solution. Many of my blog posts and newsletter put the problem right in the headline, e.g. "Most demos are useless," or "Avoid random acts of marketing." Once prospects recognize that they have an urgent project, then - and only then - should you start talking about how your product works. At the beginning of the evaluation process, content that helps educate the prospect will be more effective than promotional product brochures. The vendor has two tasks at this early stage of the process. For one, they need to educate the prospect. Besides helping them to understand the scope of the problem, the vendor can help explain to the prospective customer how to evaluate solutions. The second goal for the solution vendor is to establish credibility. The prospect must have confidence that they are working with a knowledgeable expert, a company that truly understands the needs of customers. Of course at some point in the prospective customer's evaluation process, they'll need to see material specifically about the product and how it works: data sheets, technical specs, etc. But first the vendor needs to show they're knowledgeable and credible. They need to earn the right to show their product to the prospect.